Bret Easton Ellis says the book that would become ‘American Psycho’ didn’t start as a novel about a serial killer, and shares the real-life experience of his that proved the turning point. Larry King: How did you come up with the idea for “American Psycho”? 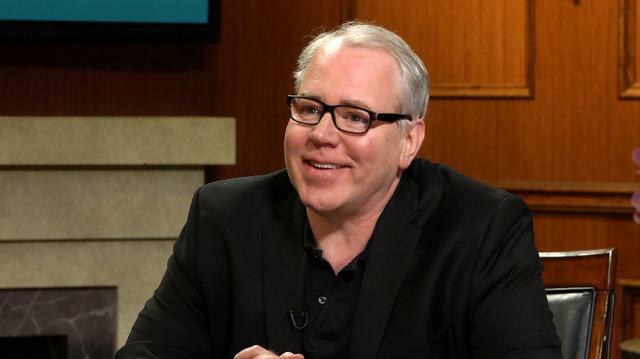 Bret Easton Ellis: I wanted to write a New York novel, and I wanted to write about Wall Street, and I was going to write a novel that was much more earnest and realistic. It was going to be kind of like “Less Than Zero” set on Wall Street. I’m going to follow a young man, kind of like how Oliver Stone did with Wall Street with the Gordon Gecko and Bud Fox character but really just concentrate on the Bud Fox character. I was hanging out with these young guys who were working on Wall Street and doing research. Having dinners with them, going to clubs with them, never being taken to their offices, never being taken to what was going on in their companies. And one night while I just saw this parade of status one upmanship: who has the best suit, who has the best house in the Hamptons, who has the hottest girlfriend – I suddenly out of the blue thought ‘Patrick Bateman’s a serial killer, and he’s losing his mind, and the novel is now going to be hallucinatory, it’s going to be crazy. We’re now going to be in his head, instead of writing maybe a third person novel about a sad, sad banker. That’s what happened. And then I began to rewrite and outline that I was already working on, and that’s how “American Psycho” happened. Larry King: You think the whole thing was in his head? Bret Easton Ellis: You know what? Larry King:Was it a dream?